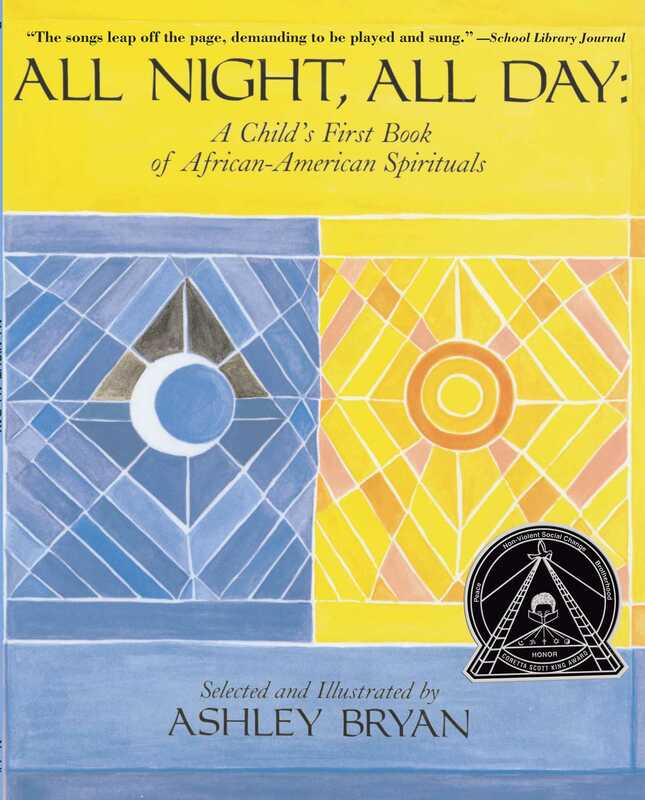 Ashley Bryan says, "I have subtitled this collection A Child's First Book of African-American Spirituals. It could really be called Spirituals for the Young and ALL! And so it could be, for the songs it presents can be enjoyed by people of every age and every level of musical skill. Mr. Bryan goes on to say, "Wherever I travel, people sing these songs. Often they do not know that they are singing spirituals. They associate them with their churches, schools, camps, or clubs and are surprised when told that they are singing spirituals. "Almost a thousand of these songs have been collected since the end of the Civil War. They are unique in the song literature of the world and are considered America's most distinctive contribution to world music." 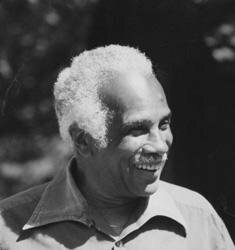 Of the thousand African-American spirituals that are known, Mr. Bryan has here chosen twenty, among them some of the best known and best loved, including the title song, "All Night, All Day," and such others as "This Little Light of Mine,""When the Saints Go Marching In," and "He's Got the Whole World in His Hands." For each, David Manning Thomas has created an interesting piano accompaniment in support of the melody and has indicated guitar chords. Best of all, full-color pictures capture the spirit and essence of many of the songs to make this a book that can both be used as a fine songbook and treasured for its beauty; for the warmth, liveliness, and inspirational depth of its illustrations.